This sounds like a consensus. A newly disclosed internal poll commissioned by the Employment and Social Development Canada reveals that seven in 10 Canadians thought the Temporary Foreign Worker Program was being “abused” by employers who weren’t “doing enough” to hire Canadians. The poll, delivered to the department by Harris-Decima in early June 2014 just weeks before announcing a major overhaul of the TFWP, shows public opinion stood in stark contrast with Employment Minister Jason Kenney’s various statements and Twitter proclamations declaring he was getting tough with employers breaking TFW rules. We have said consistently that abuse of TFW Program will not be tolerated, and that Canadians must always come first. We mean what we say. 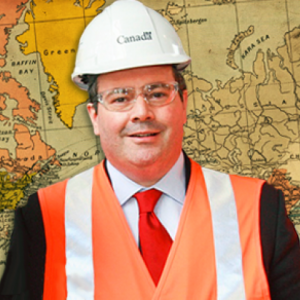 As it turns out, Canadians weren’t terribly persuaded by Kenney’s tough talk. In total, 68% of Canadians told the government that they thought the TFWP was being abused by businesses. That sentiment was strongest in Prince Edward Island where 91% of respondents said the program was being abused, while three of Canada’s largest provinces – British Columbia (78%), Alberta (70%) and Ontario (70%) – were not very far behind. Canadians also said they were most likely to agree that the agriculture industry (22%) “may sometimes need” to rely on temporary foreign workers. They were least likely to agree this applied to jobs in hotels and the retail sector (9%). It turns out even 58% of Canadians who were born abroad also felt businesses were taking advantage of the system (71% of Canadian-born respondents said the same, including 53% who said they were inclined to support pathways to citizenship for TFWs). After losing the PR war, no wonder Kenney has changed his tune. Not to mention the CFIB. Photo: surrealpenguin. Used under a Creative Commons BY-SA 2.0 licence. 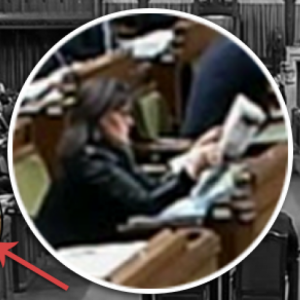 Facing tough questions from the Opposition during Question Period on Monday about the price of food in Canada’s North, Environment Minister Leona Aglukkaq was caught on video reading a newspaper only seconds after ignoring a question about news footage of her constituents in Rankin Inlet, Nunavut scavenging for food from garbage dumps.